We've covered how you can make pizza crust in the waffle iron before, but that doesn't hold a candle to the newest way to make pizza waffles—like a calzone, but much more crispy and cheesy. This video by Food Steez makes me want to buy some pizza dough, stat. And here are the easy steps to make one of these precious waffles at home. Preheat your waffle iron, then spray with non-stick cooking spray. Center your rolled-out pizza dough on the waffle iron, being sure that the edges overlap the sides. Add tomato sauce, mozzarella cheese, and whatever toppings you prefer (they used pepperoni and Parmesan in the video). Top with another layer of rolled-out pizza dough, again being sure that the edges overlap the waffle iron sides. Close the waffle iron to cook, then trim the edges. Once it starts smelling so good that your stomach can't take it anymore, your pizza waffles are done! 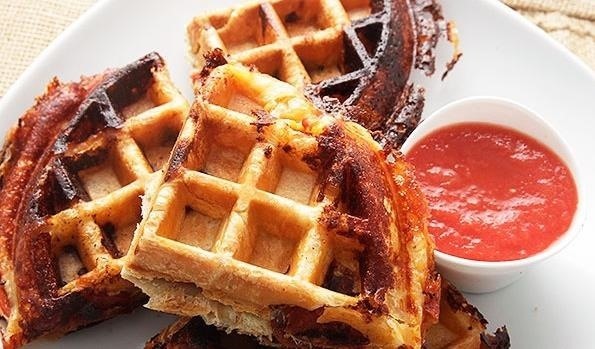 Food Steez suggests serving the waffles with a dipping sauce, like marinara, but I can see myself enjoying every crispy, gooey bite as-is... and definitely not sharing it with anyone else. Sorry, not sorry. 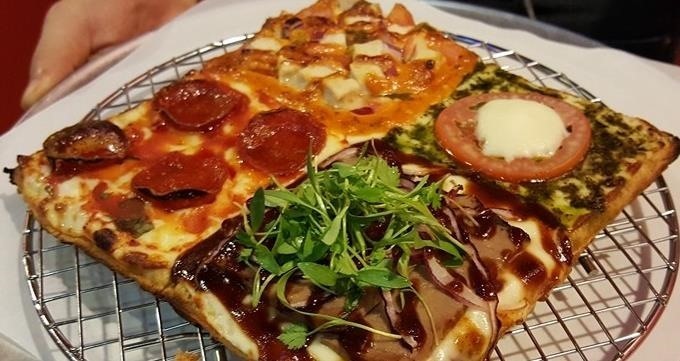 Waffle pizzas are making their way out of the home and onto the restaurant scene as well: in Los Angeles' Koreatown, Seoul Waffle Pizza has been generating a lot of buzz, both locally and on sites such as Food & Wine. Owner James Kim "just kind of made it up after" getting "really into pizza" while living in New York, he told Los Angeles Magazine. He also "really, really loves waffles." "There was never anything wrong with waffles and pizza by themselves, in the same sense that there no glaring problems with croissants and donuts. But when you combine the two via novelty food alchemy, you get the perfect intersection of form, function, and Instagrammable magic." It's still too early to tell whether this will reach the same heights as other viral food trends, but I know I'd give this place a try the next time I'm in L.A.
What do you think? 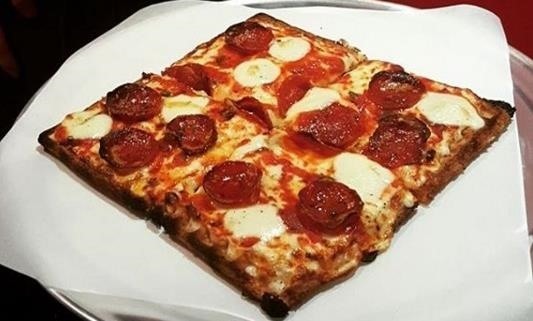 Is your mouth watering at the thought of the waffle pizza, or is your stomach just confused? Let us know!